Evening with Friends Party Mix combines Peanuts, Pretzels, Taco Sesame Sticks, Cashews, Sesame Chips, Cheddar Sesame Sticks, Garlic Sesame Stick and Almonds. 40 oz. Ingred: peanuts, unbleached wheat flour (contains mailted barley flour as a natural enzyme additive), soybean oil, sesame seeds, ground bulgur wheat, salt, turmeric (color), garlic powder, canola oil, oat bran, taco seasoning (spices, salt, onion powder, garlic powder, caltodextrin, corn flour, whey protein concentrate, lactose buttermilk solids, salt,natural flavor, annatto extract), annatto (color), cashews, almonds, peanut oil. 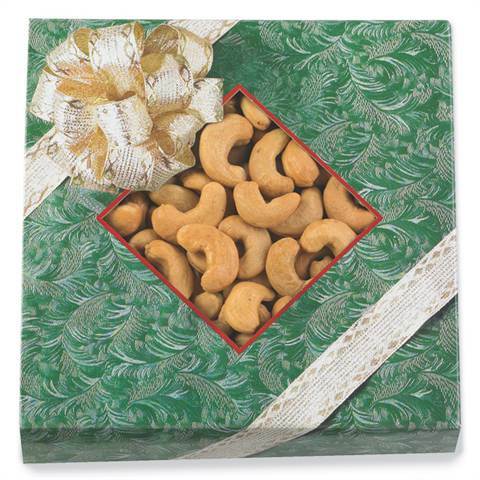 ALLERGEN STATEMENT: Contains peanuts, cashews, almonds, wheat, soy and milk. 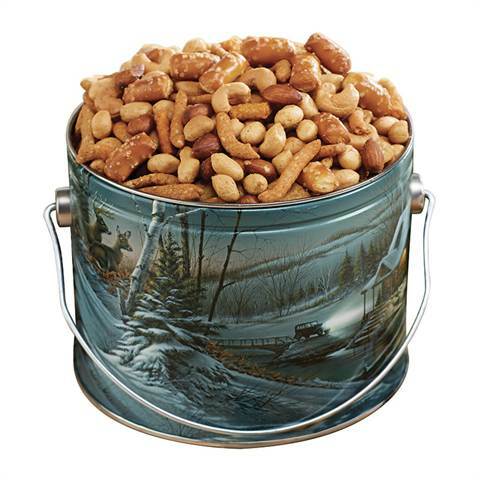 Manufactured on equipment that processes and packages peanuts and other tree nuts. May contain trace amounts of other nuts.